Welcome February and Lots of New Classes! What a great sale to kick off the year! We closed out a lot of bolts from the sale room and let me assure you that we have filled it back up! A full side of batiks! 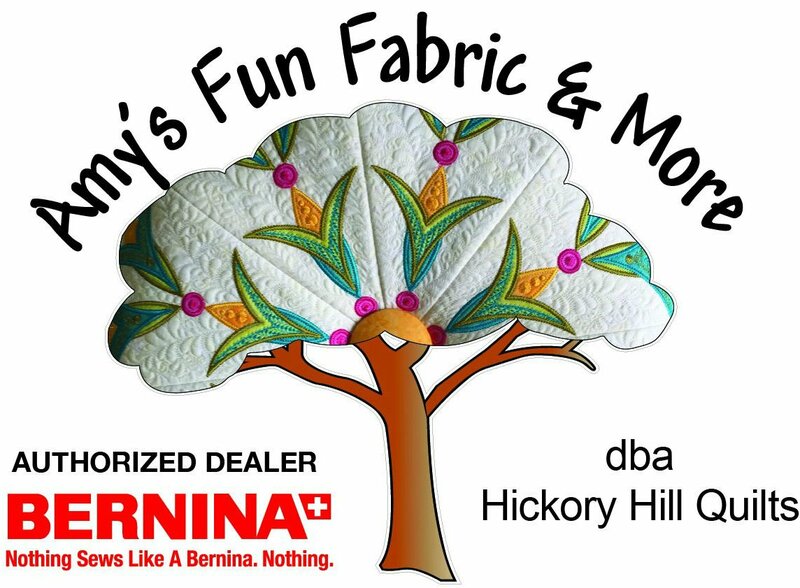 The last Anniversary Edition Gold Machine with the $3,600 give away bundle from Bernina is on the floor! It is a 790+ machine and it is a great deal! I also have two 820's in great condition for $1,200 each! Remember you get a BSR valued at $1,000 with those so I am basically only getting $200 for the machine! I also have a demo priced 790 for $8,000! Great deal! I have the upgrade and a really nice embroidery collection to help it go out the door. CLASS ADDED TO OUR ALREADY ROBUST SCHEDULE!!! KIMBERBELL BENCH BUDDIES: Remember those bench pillows/wall hangings? Now they've introduced small "buddy" pillows to put on your bench with the big pillow or hanging. It is a cute one day project and Sharon Harrold will be teaching through the monthly projects. We are getting started a little late, so February for Valentine's Day is the first February 5th. This full day class is $25 and we will kit it because there are lots of small fabrics, vinyl, etc. Please sign up early to guarantee we have enough kits. The picture is on line. NOTE: The pattern covers 4 months of projects, so we priced the class separately, as usual. MASTERY CLASS ON WEEKDAYS! March 6 & April 3! There have been at least two ladies tell us they have weekend obligations and can not make mastery on the weekend. We will offer Mastery in March and April for folks needing weekday classes. If anyone has an embroidery machine, we will add a class in May for the 3rd session. Please sign up early so we know how to plan teaching staff. 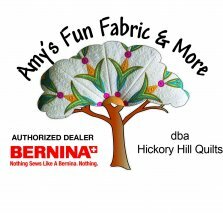 Serger Club 3rd Saturday! February 16th! $5 each class and they are working through a book I picked up at Fall Market called "Power Serge". We have them in the shop and can special order them if we run out. Sign up online. We had 9 in our first organizational session and many more interested! Gonna be a great group! Embroidery Training-Anita Gooddesign Chameleon Purse - TOO CUTE! 3rd Tuesday! February 19 & March 19! This class will cover two months. The inside of the purse will be done in Feb and the outer shell will be done in March. I can't tell you how cool this project is! Stop by and see it or look it up on line. Charity Sew/Pot Luck Day! 4th Saturday! February 23! We have 52 ladies signed up for our Children In Long Term Care block of the month! I'm so excited and thankful for all you do for our community. We had 9 ladies come to sew for our first session in January, but we agreed that if more than 15 show up, it may be chaos! Especially, if all 15 people bring food! Sooo, we decided that we will do sign ups (online like a class) for charity sew days. They are free, but at least we will know how many to expect. Judith Jones will be bringing Lasagna in Feb and has asked that others bring complimentary dishes. We will try to let folks know how many we have and maybe only the first 10 bring and then others can bring the next time???? We will work it out. The day was so much fun! I hope you will plan to join us. SPICY SPIRAL TABLE RUNNER! February 26 & 27 half days! This class takes 8 fat quarters, light to dark. The first half day is putting together the fabric in stratas. If you have no experience in strata work, this is a great class to learn about managing fabric. The second day is experience with a 10 degree ruler. Click on the calendar to see the photos and we have a sample in the shop! FRACTURED STAR OR FRACTURED PAINTBOX - QUILTWORX PAPER PIECING 2-day beginner level class! February 28 & March 28! These two quilts (you can choose which one to work on) exhibit the stained glass technique. Fractured star takes one jelly roll and background fabric! If you have every wanted to make one of these gorgeous quilts, come join us! Judy Bowers won a blue ribbon with the Star at the Benton Show this past year. YOU ASKED FOR IT AND WE ARE GETTING IT TO YOU - ELEPHANT ABSTRACTION OR "ELLIE" IS HERE! March 30th! This class covers how to make that gorgeous elephant you have seen in the shop! This one day class will get you started doing easy paper piecing. Pre-Class work is required, so sign up early. I think most of you have the pattern, but if you don't we keep them in the shop. Hint - on the calendar tab on our web site, hit the box and it will take you to the class signup. There is also a print button on the calendar. Things change, so stay tuned! The Northcott Stonehenge competition fabric is in house! Once our block is kitted, we will announce the competition! Keep Checking the Calendar for more fun stuff! The full year is populated! This is our web page link, thank you for letting me know you did not have the link! Go to the Calendar Header and you will find the calendar month by month. Underneath it on the right is a printer button. It can be printed! On the newsletter tab you can now go to all archived newsletters and read past issues – in case you missed them!